“Oscar, what happened to you?”, asked the flea, because Oscar looked terrible, wrapped up in a blanket, his nose running, his eyes red, and his teeth chattering. “I got a ride down here in some guy’s mustache and he came down here by motorcycle. I nearly froze to death,” wheezed Oscar. So you can imagine the flea’s surprise when, a month or so later, while stretched out all warm and comfortable on the beach, who should he see but Oscar – looking more chilled and miserable than before. 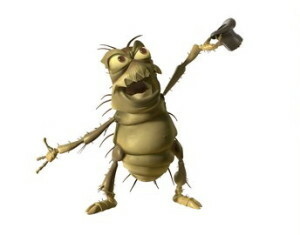 “And so?” asked the first flea.